Uwell brand is proud to present you a brand-new Valyrian Sub-Ohm tank. It comes with three types of coil pins. Being interchangeable, they offer a wide variety of different flavor and airflow configurations to meet each vaper’s preferences. 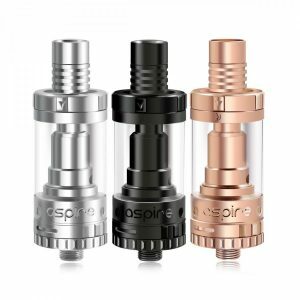 A new device – new vaping experience! Uwell brand is proud to present you a brand-new Valyrian Sub-Ohm tank. It comes with three types of coil pins. 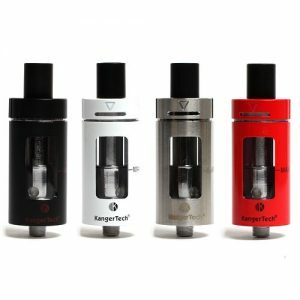 Being interchangeable, they offer a wide variety of different flavor and airflow configurations to meet each vaper’s preferences. You can choose among “spiral-type”, “wave-type” and “unrestricted-type”. They will bring you concentrated flavor, large clouds of vapor, or both depending on which pin is in place. Each of them requires different wattages. Besides, the Uwell Valyrian Sub-Ohm Tank has triple airflow slots. You can adjust them to get the desired airflow. 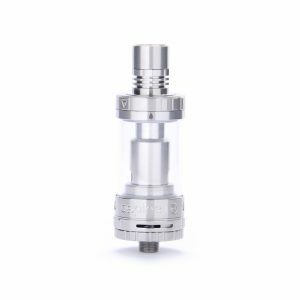 The Uwell Valyrian Sub-Ohm tank has been designed with a 25mm in diameter. It pleases vapers with a large e-juice capacity – 5ml. As well, there is an option to extend the capacity to 8ml (sold separately). Perfect for those who don’t like frequent refills. Moreover, this tank features a convenient top fill method. A flip open top cap and locking mechanism ensure easy and clean refills. 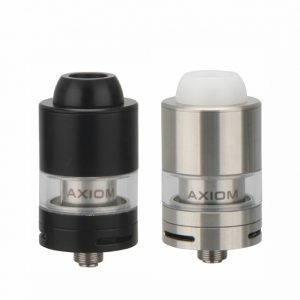 What concerns the appearance, the Valyrian sub-ohm tank is made of high-quality materials and looks attractive. It is available in various unusual color finishes. 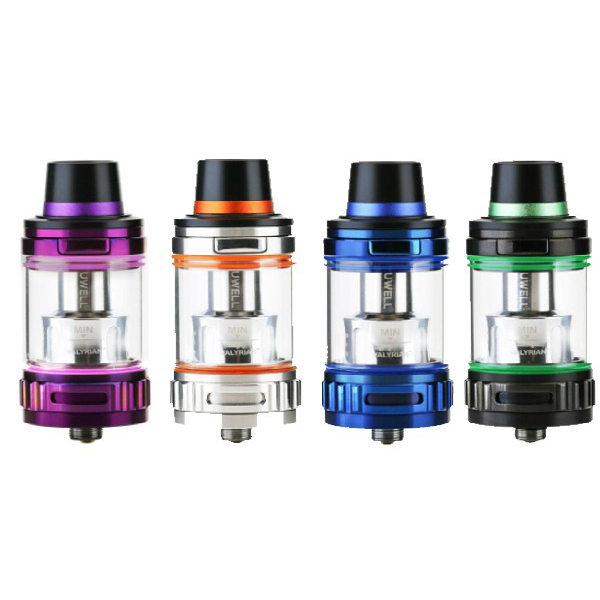 With the Valyrian, you will have an opportunity to become a happy owner of Iridescent, Sapphire Blue, Stainless Steel, Violet or Black color finished tank. In sum, the Uwell Valyrian Sub-Ohm tank can fulfill each vaper needs thanks to 3 types of coil pins, which can deliver a different vaping experience.